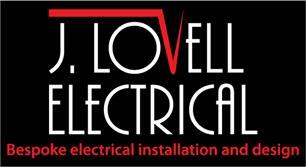 J Lovell Electrical - Electrician, Telecommunications based in Yateley, Hampshire. Hi, and thanks for checking my profile on Checkatrade. I am able to take on any Domestic or commercial work ranging from anything as small as changing a light fitting, to a full rewire in domestic or commercial premises. I am also able to install data networks, Domestic fire alarm systems, door entry or CCTV. If you would like to check out some of my work head over to my Facebook Page or my Instagram by clicking the links!